Happy International Day of Happiness (and Happy Solar Eclipse)! 20th March is an auspicious day – not only a solar eclipse (don’t look directly at it), but also International Day of Happiness. It seems like a great day to play some tai chi, take a walk on the beach, watch a solar eclipse with the right eye protection, have a massage, dance in wet grass, laugh with good friends, a random kindness to a stranger, a hug, some mindful breathing, a walk barefoot in the sand – whatever it might be to make you happy, and to share some happiness with others. Such simple actions and thoughts can nurture your sense of wellbeing, and that of others too. And it needn’t be on just one day of the year that we have a sense of wellness. Small moments each day can keep our wellness batteries topped up. What frequently happens though is that life and work gets in the way and we neglect our wellness for too long. The perfect way to recharge your wellness batteries? Join us on our Week of Wellness, a treat of a week of tai chi, holistic therapies and walking in beautiful rural Mallorca, October 10-17th 2015. 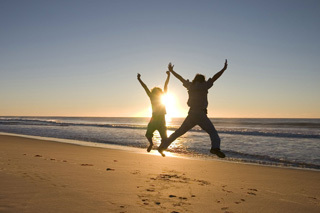 On International Day of Happiness, make sure to book your Autumn Wellness recharge. “Wellness at its best“.